I cannot recall how many times I have advised all adult persons to make a Will. But a thing worth saying is worth repeating. So, you really should make your Will. Traditionally, our advice to all our clients was, if you have property in more than one Country, you should make a Will in every Country where you have assets. It seems to make sense, that whether you have a few million, or a few pounds or euros, in England, Ireland or elsewhere, make an Will, then if you also have a villa in Spain, or a small sum in a Bank there, make a Spanish Will. 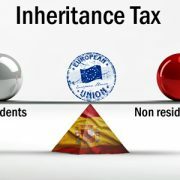 That way each jurisdiction can get on with the formalities of putting the terms of your Will into effect as soon as possible after you pass on, with no need for the Spanish authorities to wait until the your national Probate Registry and Tax officials have finished with your papers in your country. The European Succession Regulation No.650/2012 (or “Brussels IV”) came into force last year, but England, Ireland or Denmark are still not signatories to it. This new regulation is supposed to make things simpler for other citizens with property in other Countries of Europe. 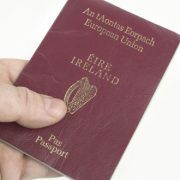 Basically, you can now say in your national Will that it should dispose of all of your assets, both in Ireland, England and Europe and that the Laws of Succession of your country should apply. As an example, under the Laws of Succession of England, you can leave your belongings to whoever you choose in your Will. There is no requirement in England, as there is in other Countries [including Scotland even] that certain persons – usually spouse and /or children – should take a share of your estate as a matter of law. So if you are English, make your Will in England and elect English Succession law, then Brussels IV will tell the Spanish authorities that they must not seek to impose their own usual forced heirships upon your wishes. Unfortunately, there will always be room for problems to arise. There are many legal issues arising from scenarios involving unusual combinations of place of residence, country of citizenship, and country of domicile, from which scope for extensive argument and additional expense can arise. 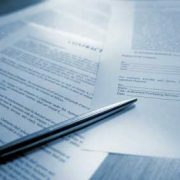 There are likely to be other areas of “mismatch” when seeking to persuade Spanish authorities to accept a Will made under a foreign jurisdiction as valid. Some foreign requirements pertaining to Wills seem very sensible. In the Philippines, a blind person cannot make a valid Will unless “Article 808. If the testator is blind, the Will shall be read to him twice; once, by one of the subscribing witnesses, and again, by the notary public before whom the will is acknowledged” (Civil Code of the Philippines). In Ireland, a blind person can make a Will but it cannot be admitted to Probate unless one of the witnesses gives a sworn statement about what took place. So again, problems can be envisaged in such a case where the Testator has outlived his witnesses and no such sworn statement was made. This could, at the end, lead our clients to follow a more expensive and time consuming procedure in order to register the property in Spain, than simply executing a properly laid out Spanish Will. Therefore, our conclusion remains that the new Law also does create some new problems. 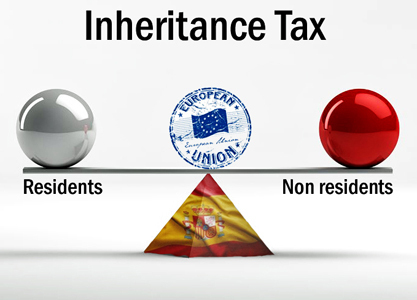 It still remains simpler and cheaper for those who have an estate in Spain to make a separate Will regulating separately solely their Spanish estate. It is advisable to revise your previous Will to ensure that is adapted to the Brussels IV new regulation. 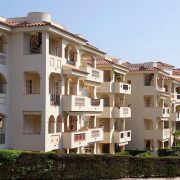 For practical reasons, we keep on insisting on making a Spanish Will to cater for the inheritance of your Spanish estate. In the end, it will save time money. http://www.spanishlegalservices.ie/wp-content/uploads/2016/04/legal-forms.jpg 282 426 Spanish Legal Services http://www.spanishlegalservices.ie/wp-content/uploads/2016/04/spanishlegalservices-1.png Spanish Legal Services2016-04-28 13:19:502017-05-29 14:46:33Do I really need to write a Spanish Will? 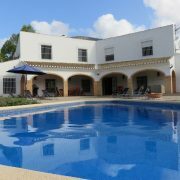 http://www.spanishlegalservices.ie/wp-content/uploads/2016/04/rentallaw.jpg 667 1000 Spanish Legal Services http://www.spanishlegalservices.ie/wp-content/uploads/2016/04/spanishlegalservices-1.png Spanish Legal Services2016-04-28 13:16:262017-05-29 14:50:14Non resident selling a property in Spain. What about Capital Gain Tax? Plusvalia. Municipal Capital Gain Tax. What is it? 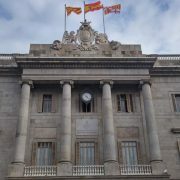 http://www.spanishlegalservices.ie/wp-content/uploads/2016/04/barcelona-town-hall.jpg 576 1024 Spanish Legal Services http://www.spanishlegalservices.ie/wp-content/uploads/2016/04/spanishlegalservices-1.png Spanish Legal Services2016-04-28 13:15:062016-10-04 12:22:44Plusvalia. Municipal Capital Gain Tax. What is it? On 28-09-2013 has been enacted the Investors’ Support and Internationalization Act which includes, among others measures, a Spanish residency programme that will allow investors to become permanent investors if they invest, at least, €500,000 in a property. The law intends cleary to facilitate non EU nationals traveling to, or residing in Spain, who intend to carry out a ‘relevant investment’. An investment of at least€2,000,000 in Spanish Government bonds. 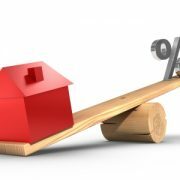 An investment of at least€500,000 in Spanish property (one or more), per applicant, provided the first €500,000 of the property value is unencumbered (mortgage free). Investment by foreign companies also qualify for residency provided it does not originate from an offshore tax haven, and that the investor owns, directly or indirectly, the majority of its voting rights and has also the right to designate or remove the majority of the members of the board of directors. The Act has created 2 different types of documents to enter and reside in Spain, the Residency Visa and the Residency Permit. An applicant that wishes to apply for a Residency Visa under the Act will first need to apply for an ordinary visa, with a view to travel to Spain and investigate investment options/opportunities, meet with lawyers, real estate agents, banks, etc. Once a decision is made and the investment carried out, the Residency Visa will have to be applied for at the Consulate. 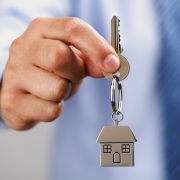 Obviously, it is possible that an investor decides to proceed with the investment operations remotely (for instance, purchasing a property via a lawyer, with a Power of Attorney) and, on conclusion of the property conveyance transaction, he applies for a Residency Visa with the required proof of his investment i.e. Property Title Deeds. The Act does stipulate that the investment needs to be maintained during the period of the validity of the Residency Visa or Residency Permit, and that routine checks may be carried out to verify if this is the case. Specifically, NO! The Act stipulates that Residency Visa or Residency Permit holders do not need to spend more than 6 months in Spain, with a view to renew the permit (which implies that, as stipulated in the law, provided they are in Spain at least once during the period of the Residency Visa, they are pretty much free to spend their time as they wish, in Spain or in any other country). This means a very significant change with the previous regulation. 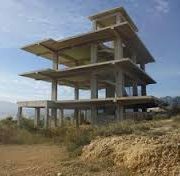 The Act does not include investors who already had a property in Spain prior to its enactment although, nothing stops them from selling, buying again and then apply for the Investors Residency Visa and further, the Investors Residency Permit. People that comply with the other financial criteria (having cash deposits, shares etc.) can apply, so there is always other practical ways to obtain the same result. We hope this brief resume of the Law helps you to understand the new regulation, and to set an investment strategy to obtain residency rights in Spain, if that is your goal. http://www.spanishlegalservices.ie/wp-content/uploads/2016/04/36244821.jpg 685 1024 mveale http://www.spanishlegalservices.ie/wp-content/uploads/2016/04/spanishlegalservices-1.png mveale2016-04-28 13:08:382017-05-29 14:51:59NON-RESIDENT PROPERTY OWNERS. TAX AUTHORITY IS LOOKING FOR YOU !! !